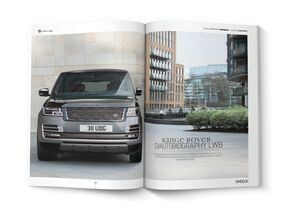 The winter issue is the last of the year approaching its end and the first of the new year. 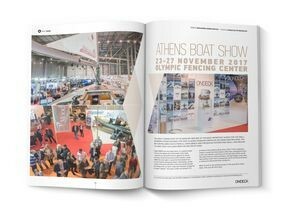 Things are getting better every year and Greece is undoubtedly a top destination. The industry’s professionals are already kitting out for the new season which seems to start earlier every year. And that is what we need; to realise that this country can welcome visitors from the four corners of the Earth all year round. The longest standing event of the industry and one of the most important shows for the small and medium category was back this year. 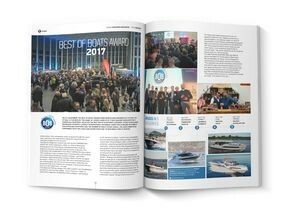 On 23 November the Best of Boats Awards (BOB Awards) were presented for the fourth time at BOAT & FUN BERLIN. Rosetti Superyachts SpA will start building large custom yachts at San Vitale shipyard in Italy (Ravenna). 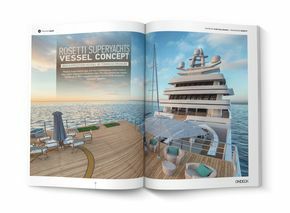 The new company has released details of its 85m expedition supply vessel concept designed by Tommaso Spadolini. 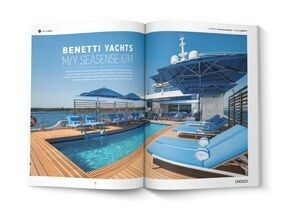 This brand new, original approach by Benetti is one of the most beautiful and interesting boats we saw at the Monaco Yacht Show. 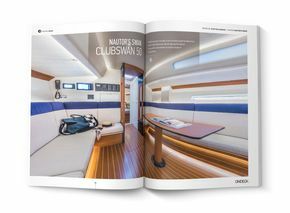 Seasense is a floating work of art. 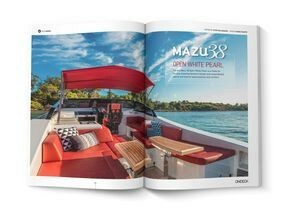 The new Mazu 38 Open White Pearl is a feast for the eyes, boasting dynamic design and unparalleled interior and exterior spaciousness and comfort. We went on a cruise with one of the biggest mass production ribs. 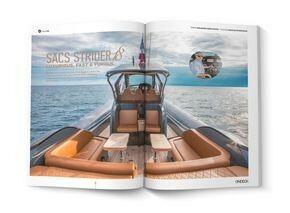 The massive Sacs 18 is the ultimate thrill, combining comfortable living on board, safety and breathtaking performance. With fifty plus years’ heritage in performance yacht production, Nautor’s Swan has always offered high performance racing yachts to complement its classic range of cruising Swans. 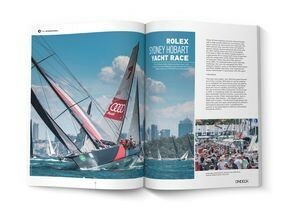 The 73rd Rolex Sydney Hobart promises much, with 107 yachts currently scheduled to cross the start line in Sydney Harbour at 13.00 (AEDT) on 26 December. 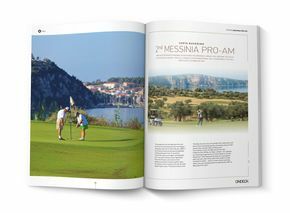 Once again Messinia will become the focus of international interest thanks to the 2nd international golf tournament which is to take place at Costa Navarino in February 2018. 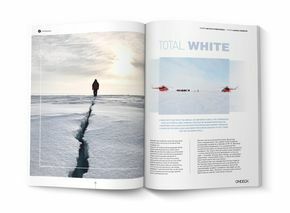 A unique trip to the top of the world as seen through the eyes of businessman Miltos Kambourides, who along with his wife photographer Marina Vernicos is among the few people who have been fortunate enough to set their feet on the North Pole. There are places that simply reach their full potential in winter. 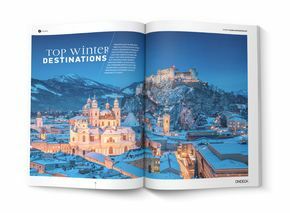 Dressed in white, with frozen lakes and landscapes of unbeatable beauty, cosy cafés and restaurants with traditional dishes, impressive Christmas markets, ice hotels or even Santa Claus himself. Expect no promises of voyages to breathtaking destinations because this is an astounding destination in its own right. 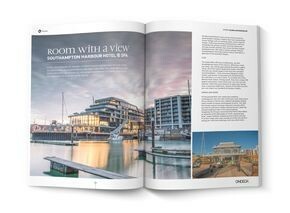 Welcome the latest arrival in the hotel industry, the Ocean Village in Southampton with its impressive design that reminds us a lot of super yachts. What you should expect to experience at the hottest gastronomic arrival of 2017 is an adventure around "enigmatic rooms". Pursuers of gastronomic adventures are summoned to this unique experience. Designed and crafted to perfection to combine capability and style, the new Range Rover SVAutobiography is the epitome of luxury, power and sophistication.